Epson projectors has more features than most home theater projectors on the market. This pushed me to take a closer look at this model to find what is it that makes this system so amazing. There is plenty to share about this model but I would like to keep things in perspective and give you the specifications, also I would like to give you more options to choose what type of ways you utilize this model to your needs. Then we are going to walk though the good part’s to owning a projector and the bad parts as well. This will give you a sensible idea to make a good decision on what specific type of Epson projector you need to really enjoy home entertainment. This is in my opinion the best of the best to offer. Take a good look at this projector to see if it fits your needs and wants for home entertainment. The features, It’s size, and the style, comfort and convince is important to me because I know it’s important to you. What stands out to me about this projector is the ability to view images up to 25 times larger than your average 60- inch TV screen. You can really see the difference though amazing displays of color which we go into later, but it’s all about the performance that set’s it’s self apart from the rest. 25 times the output than your average 60 inch flat screens, I know it said that already but let that sink in. It”s 300″ of full capacity wide screen action coming right at you from a portable projector. Yeah I mentioned it’s a portable projector. It’s perfect for travel and placing in the best spots around your home for maximum entertainment. It’s wonderful to know that you can have the comfortably to have one of Epson’s top on the line model with a great deal though Amazon. Have you heard about the color scheme? Epson operates on 3100 lumens of color. This is a game changer to see to more than a few more color options, It’s like you never seen the images applied to your scene before like no other. Get FULL use of your movies, videos and presentations though this projector, with brighter whites and darker blacks of contrast. I love this because you can see more images and wider quality though a smaller portable projector. Did you know that Epson can deliver 15,000 to 1 dynamic contrast for your fast paced action sequence for high definition content. It’s more than clear images and crisp scenes to get more of a better quality performance in an Epson portable projector. It’s about the exact premium color set of images that gives you a full display of color spectrum accuracy to grasp the full concept of the picture. Don’t you hate it when your watching a movie and it’s hard to watch certain scenes or darker images due to bad distortion from the movie editing or limitations in screening settings? Whatever it maybe, you can put those things to rest knowing in mind that you will not suffer these types of problems owning an Epson home theater projector. Can Epson Connect To Other Devices? These are some devices you can hook up this projector to, I personally love to play games and surf the web though my phone to a bigger screen. I’m sure your can find more things to do with this feature, if your more of a wired connection person, it’s okay because Epson has 2 HDMI ports and 1 MHL-(Mobile High definition Link) port for a secured connection. I have found this to be a common problem with projector owners. People call it the “Rainbow Effect”. This happens when the image shows more rainbows during high contrast or glaring scenes with brighter images. If you had trouble with this, I would like for you to take a good look into an Epson portable projector. One of the best features to this system avoids this from happening. It’s called 3LCD Technology. This alone will change the way you look at movies with fast motion sequence action. Trust me when I say this, your in good hand with Epson’s projectors. This makes the most sense to own the best portable projector in the market when it comes to this type of issues. Many people have found this feature to help and realize the difference. one the most asked questions I find easy to answer. Yes you can have great fun enjoying streaming video games, HD movies and streaming sticks with no problem at all. My personal favorite feature to use is gaming. You can get a lot of entertainment watching your favorite shows though your smart phone which helps in delivering more than just the weather updates. The HD TV stream is excellent. Just sit back and relax watch real live TV programs like your at the event yourself. To be honest, you can’t go wrong choosing what type of device to use for viewing movies. I like to watch YouTube videos and setup my social media pages to connect with my friends and family. Some people like to watch music videos from the phone to stream live on the projector. I have tried this feature and it’s WAY better in picture quality and imagery. It’s amazing to find out what you can do with a many devices streaming to Epson’s portable projector. The name of this feature is called HML- which stands for Moblie High Definition Link. This allows enabled devices like your smart phone or Tablet to connect though streaming to Epson’s projector system. 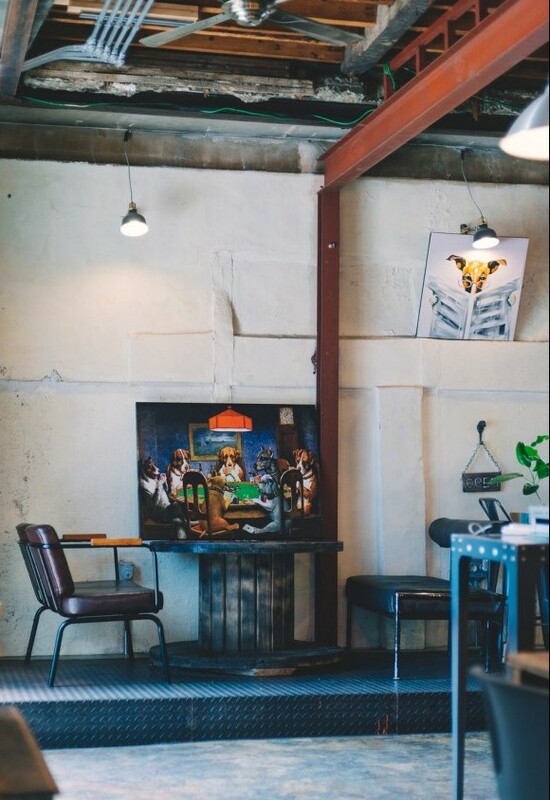 Do you have family photos to display? not a problem when using MHL enabled digital cameras it’s like finding new ways to use a device you never knew you ever had. This is one the one most fantastic features to use for an Epson projector. The mirroring feature can display all of your photos which turns your projector into a family album for viewing the memories to share with others on a 300″ widescreen. What Type Of Speakers Can You Use For This Projector? This is my favorite topic to share. you can hook up different types of speakers to this projector set. 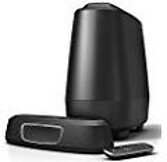 In fact, I have some best options to choose from when shopping for a good speaker system to use for Epson projectors. Epson portable projectors has a built-in speaker to start off your home entertainment the right away. This ten inch speaker has a lot of punch to deliver your most high intense, movie watching, crisp sound set for those who want to enjoy the best features without extra speakers. I found that using a sound bar can give you premium surround sound setup to fill the room with high quality audio. You can see more options on surround sound systems to use which has helpful advice to use them with high quality Epson projectors. To recap on this Epson portable projector let’s list out the features that can help you enjoy better entertainment. Widescreen HD– 300″ screen to display higher content images at a brighter and colorful image display. Great Color contrast – Get the right colors and accurate placement with clear images this makes live TV, real live movies, and videos have clear and higher definition scenes to discover. 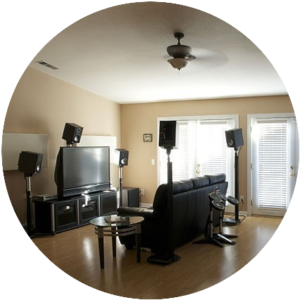 Built in speaker– Get started listen to premium audio though your own projector setup, This will give you more time to find the right surround sound speaker set to make your home theater come to life. Connect Your Device– Makes things much easier enjoy with no hassle setup this means you can get the most out of your projector by connecting all of your devices to this projector is an easy plus it’s has two HDMI ports for connectivity. Streaming to the projector– I would say this has the best feature of all. Using MHL- enable devices can change the game for your home entertainment. 3LCD Technology– this will Take away the rainbow effect which has created more problems for people the most. Not to mention its makes the quality of the picture come to life. So you can see Epson has the best features to use, but it saves you the headache in so many ways. Choosing an Epson portable projector is a no brainier . It your, looking to choose a better way to enjoy your home life in many ways buy a new Epson projector. It’s worth it’s value to your home life. Please share with us your comments below. We value your opinions and views and concerns.